Kids just aren’t as scared of summer camp as they used to be. Maybe it’s because they aren’t even going away to summer camp unless forced to by the state. Still, the nostalgia of summer camp is enough to help us begin our Summer Camp Slasher Series, a tribute to horror movies featuring campers, camp counselors, and the maniacs who murder them. 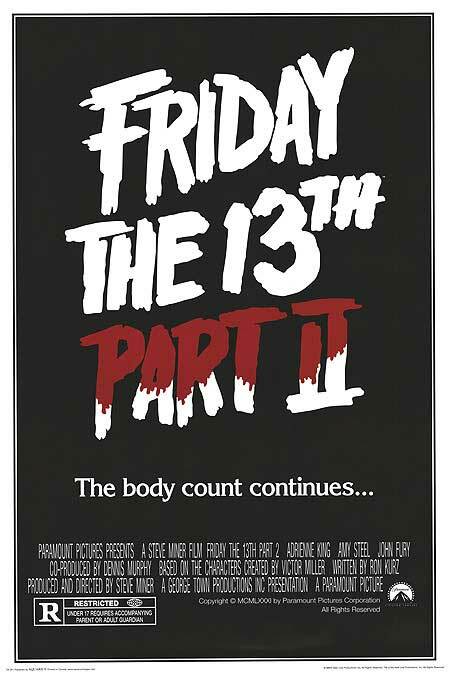 We continue this summer horror series than with Friday the 13th Part 2. Plot: 5 years after Pamela Voorhees’ rampage ended, a group of young adults attempt to open up a summer camp. Unfortunately, it happens to be right near Camp Crystal Lake. Even with Pamela Voorhees dead, the body count for the area continues to rise. Who is stalking the woods now? Could it be that Jason Voorhees somehow survived drowning and has hidden away all these years, even from his own mother? 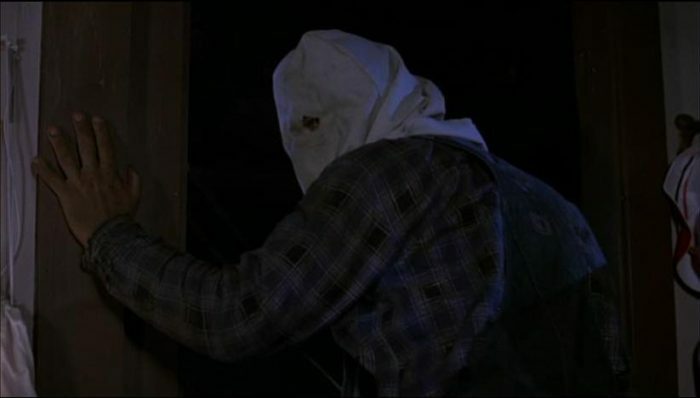 Killer: Jason Voorhees…with a burlap sack over his head. Not exactly the trademark hockey mask, but Jason was a work in progress. 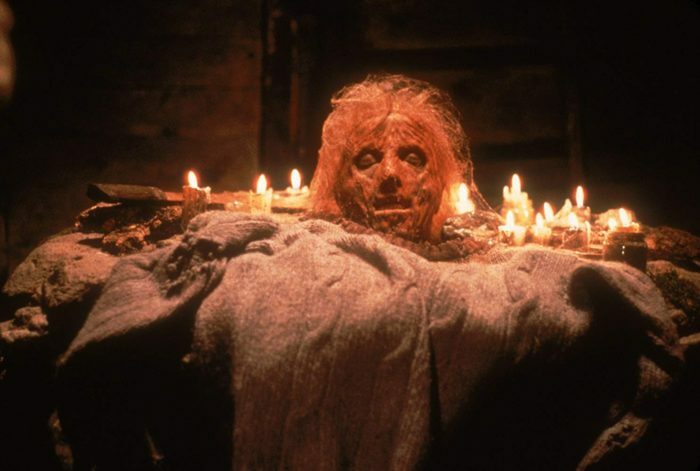 Critique: Friday the 13th Part 2 has always been a tricky film for me. One the one hand, we have the introduction of Jason Voorhees, one of the most iconic movie monsters since the 1980s. On the other hand, this Jason Voorhees is a murderous, mutated hillbilly with a burlap sack on his head. 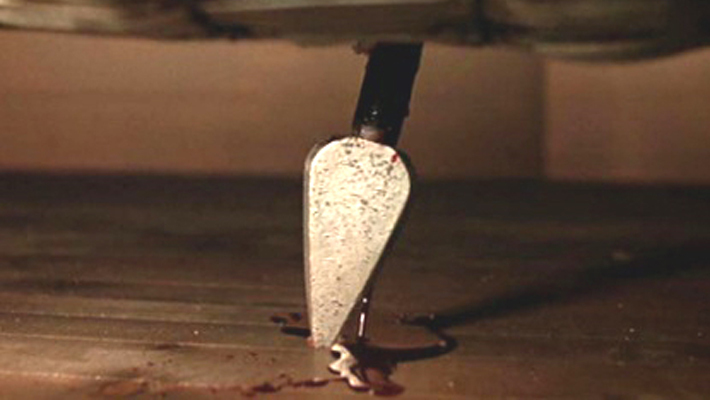 While the movie does play in to the suspense that the original had, it all seems lose steam when we finally see Jason. He’s tiny. He’s awkward. He supposedly has been living in a piecework shack, but his clothes look clean and pressed. It just doesn’t compare to the aura of the Jason we have all learned to love. Besides that, there were too many questions at the end, aka not enough deaths. Ted goes to check out the “after hours” life of the town, and never comes back. Paul disappears after Jason busts through a window to attack Ginny in the end. Too many unanswered questions for a franchise that usually makes sure everyone in the cast is either dead, or has lost their minds. Scene of Awesomeness: Vicki sprays perfume down her underwear to scent her hoo-hah in preparation for her night with Mark, the guy in the wheelchair. Scene of Ridiculousness: When Mark takes a machete to the face, he rolls down a phantom set of stairs that seem to come out of nowhere. Never mind how far down he rolls without the wheelchair, you know, tipping over? Runner-Up scene goes to Ginny letting loose a few gallons of urine while hiding under the bed, and Jason falling over while trying to stick Ginny with a pitchfork. Actors/Actresses of Note: Amy Steel plays Ginny Field, the heroine of Friday the 13th Part 2. She then went on to have an illustrious acting career as Howie Mandel’s love interest in Walk Like A Man. That about does it for this cast.